I help B2B companies and non-profits turn audiences into customers by writing their web pages, marketing content, printed sales collateral, and proposals. For every stage of the customer buying cycle—from awareness to sale and beyond—I use a writing strategy that keeps your prospects engaged and moving to the next level. Establish and enhance your online presence…by building or rewriting your website to make it clear and effective, setting up your social media profiles, and running your email campaigns. Position you as a trusted authority…by ghostwriting your blogs, reports, newsletters, and white papers. Build up your sales collateral…with brochures, presentations, and direct mailing to leave a lasting impression with your customers. Improve your chances of winning new business…by helping you with writing, editing, and doing a quality assurance checks on your proposals. If you already have your material, I can polish it. 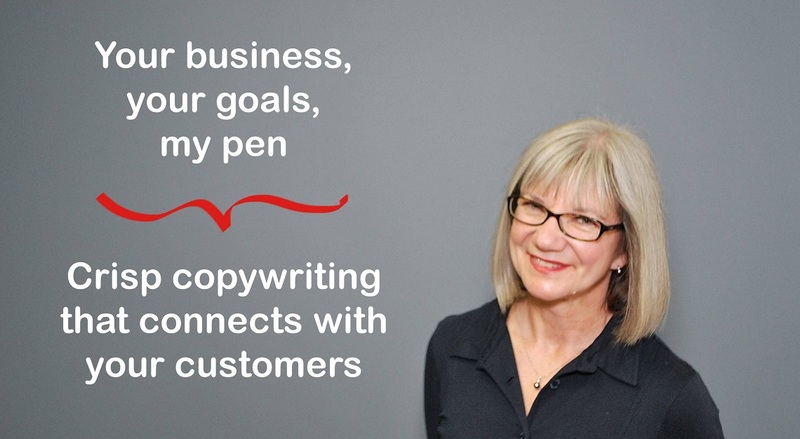 For years, I’ve used my writing and marketing savvy to help companies sell services to clients. Coming from the technology sector, I’ve learned how to turn complicated into easy. If you want to communicate with your market using fresh, easy-to-follow content, let’s make it happen. Contact me and we will discuss your needs. Sign up to receive emails about writing, marketing, and reaching your audience to grow your business. "JoAnne did an outstanding job of developing my company’s sales brochures, web pages, and articles. She helped me draw out my thoughts and made them clear and concise on paper. Her marketing experience was very helpful too. I would definitely recommend JoAnne for a project." "There are many aspects to freelancing that I love. Marketing myself is not one of them. Thanks to JoAnne Burek’s expert advice and guidance, the text and information on my website and CV has come alive. I am so happy with the results. I’d definitely recommend JoAnne to anyone seeking to make their writing and business pop." "JoAnne, I love how your mind works. It's brilliant. I didn't even know that this is exactly what we needed!!!!!!!!"